Monday was the beginning of my second week of school. I had two new classes since I was sick during photography last week and I switched out of graphic design into packaging design. I'm really excited about the photography class. We're building our own film cameras out of boxes and black tape, then going out in the city to take photos. Packaging design turned out to be a great decision too. The professor is an industrial designer originally from America. The course is a perfect combination of graphic and product design. There will also be a lot of lectures on materials, which is a nice supplement to my actual materials class. I can't wait to see what everybody ends up designing. Our first project is dealing with glass packaging. Throughout the week I continued to walk around and explore Florence as usual. I am amazed by the beauty every day. One night I Skyped home to some friends at CMU from my roof. As the sun set, I felt like I was dreaming. It was a crazy juxtaposition between my surroundings here and my old dorm at school. I had another mini panic about the fact that I'll have to leave in January, which was also more motivation to find a way to return as soon as possible. Friday morning my roommates and our neighbor left for a road trip to Munich! We were headed to Oktoberfest for the weekend. The drive was absolutely beautiful. The 6 hour commute was totally worth it since we were surrounded by incredible mountains the entire time. 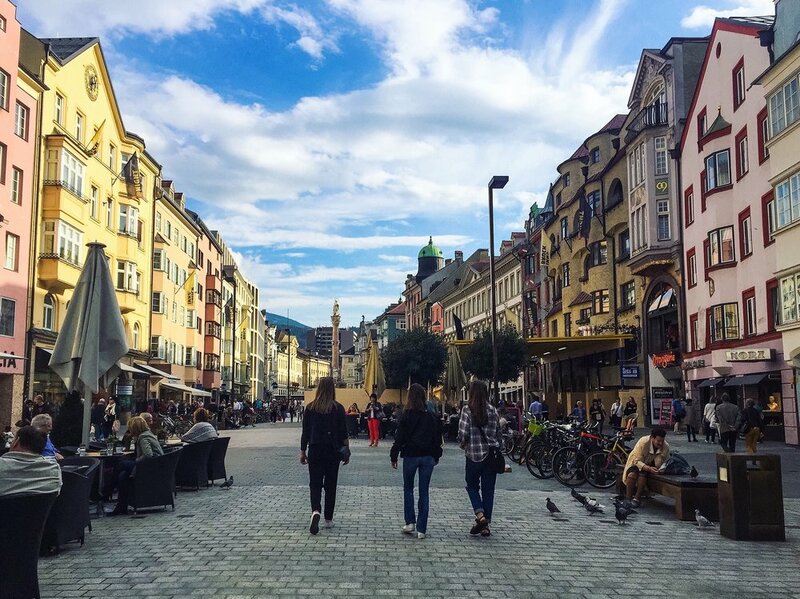 We stopped in Innsbruck, Austria on the way there. We arrived at our hotel Friday evening, had dinner, and went to sleep, ready to wake up early and get to the festival! The following morning we had a great complimentary breakfast, and headed out. It was kind of funny because the receptionist kept trying to tell us how to use the public transportation since it was 30 min away, but after living in Florence for a couple of weeks and walking everywhere, we instinctively said we would just walk. Upon arrival, we were completely shocked by the sheer size of the venue. 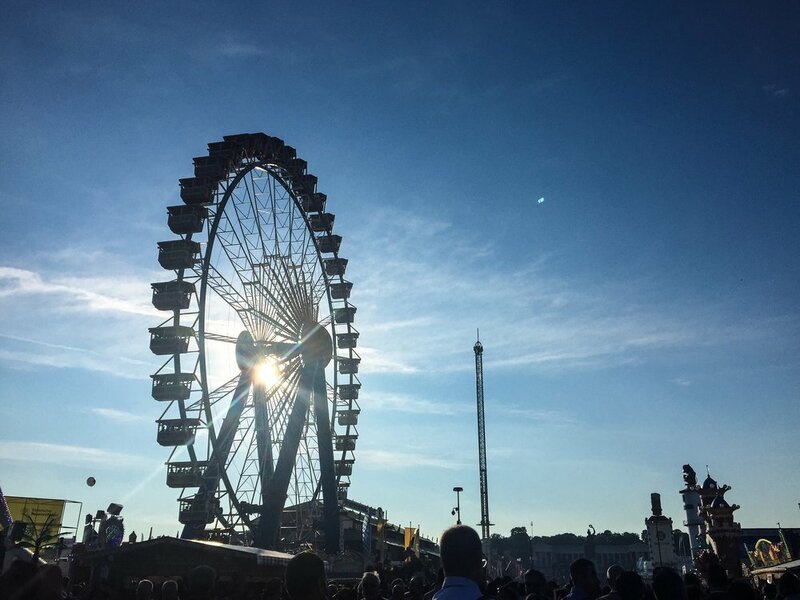 There were more amusement rides than you could count, huge beer gardens every 15 meters, and thousands of people dressed in traditional lederhosen and dirndls. The weather was absolutely perfect. We were very lucky we chose this weekend because last weekend it was cold and poured the entire time. 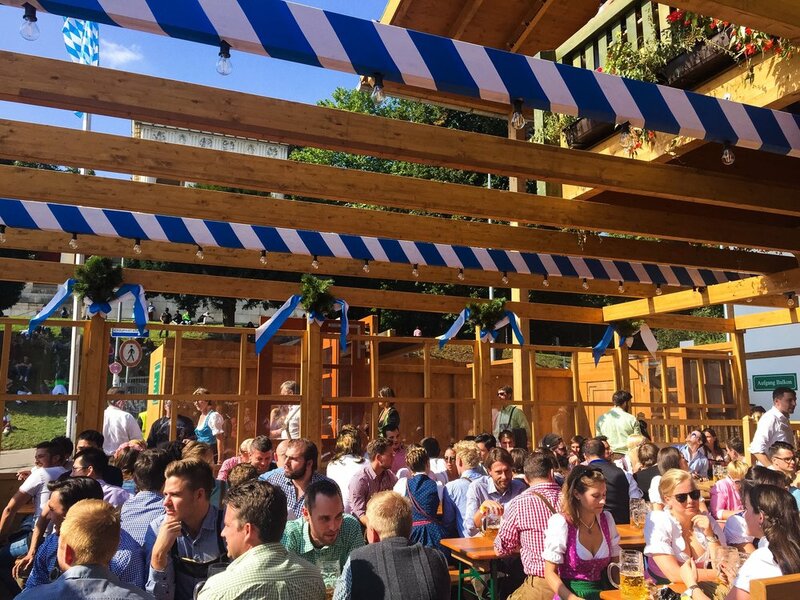 We started the day off by snagging a spot in one of the nicer beer gardens and enjoying our first beers in Germany. Throughout the day we tried food from different stands, screamed our heads off on the rides, enjoyed some down time on a very steep hill where people continually passed out throughout the day, and met people from around the world. I ended up staying for the entire festival with our neighbor, Michael, which was an absolute blast! We made our way into another beer garden around 6:30 and had a delicious dinner of beer and chicken. 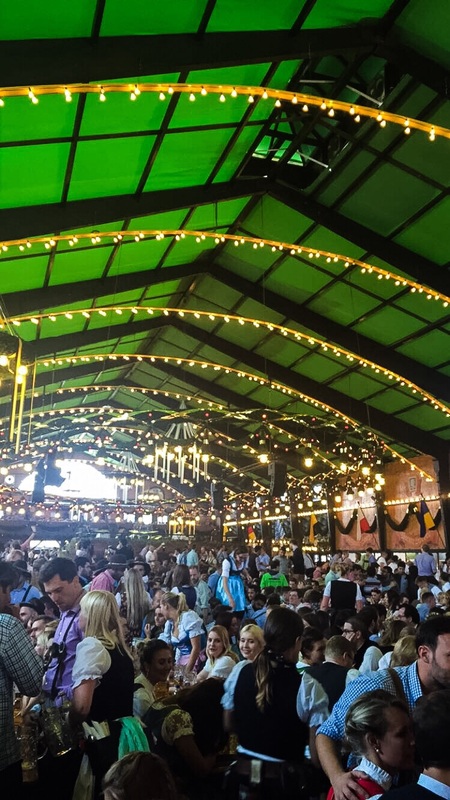 When we finished eating, Oktoberfest really began. The place had 10 times more people compared to the morning, and waiters were carrying about 10 beers at a time (which I am still incredibly impressed by). By that point, everybody was pretty filled with beer and very open to meeting new people. We sat at the same table for the entire night as groups came and left the surrounding seats. We had so many great conversations with people from a variety of countries. Everybody was just so friendly and full of life. There was a prost nearly every 5 minutes. Around midnight, we started getting asked to leave. That's when Michael and I got the best souvenirs possible. 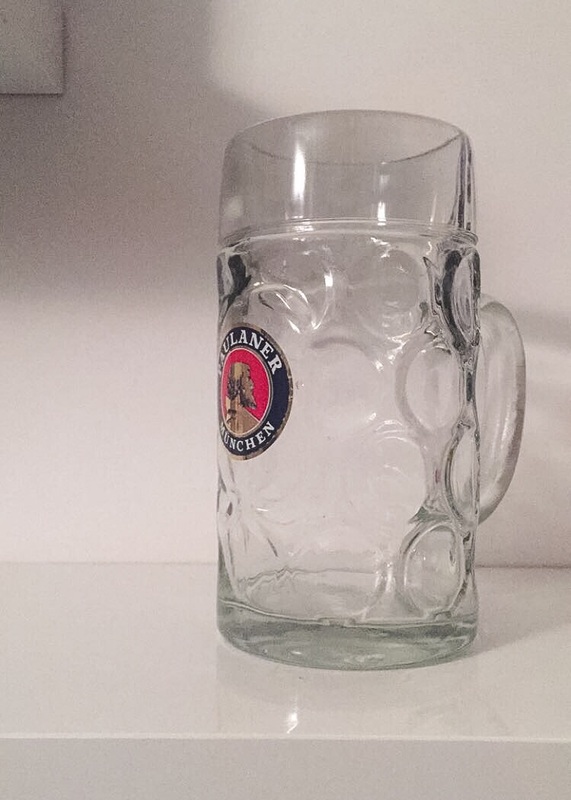 We casually walked out with our 1 liter sized beer mugs, and lugged them back to the hotel. All day I had been thinking I would never want to buy one from a souvenir stand because it's just too heavy/expensive, but the fact that these were our own made them much more special and worth it. The following day we had another great complimentary breakfast, made it back to Florence for dinner, and enjoyed some of our favorite gelato. 3 days away from Italy was very detrimental to our gelato needs. 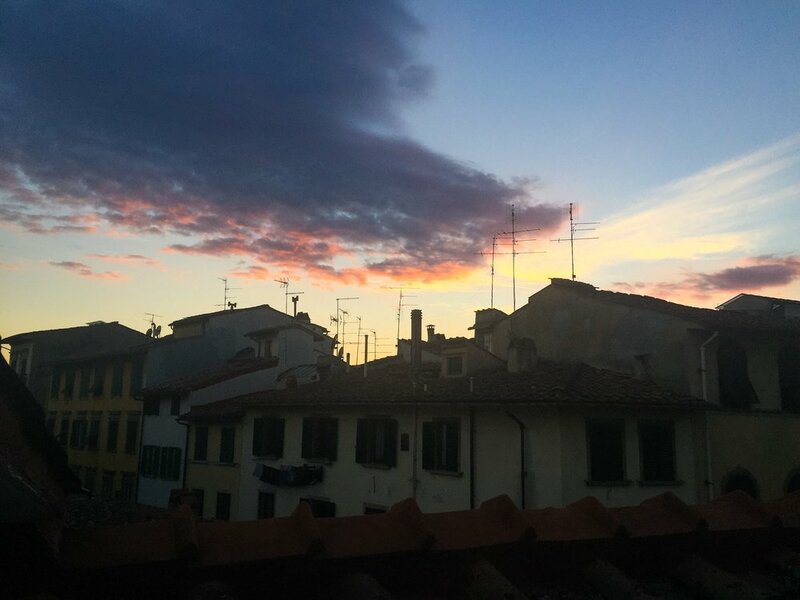 Thanks for reading, and check in next week for some weekend travels around Italy!